The Dacia Duster sold in the UK is an upgraded version of the Renault Duster sold in India and produced in Chennai. 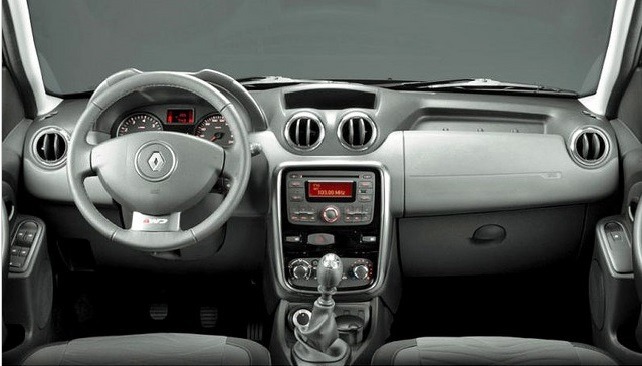 Thus, the UK Duster version has a new dashboard present on the new generation of Logan and Sandero, the window controls are located on the doors, not on the center console, and the multimedia system is also from the new generation of cars launched last year. The Dacia Duster UK version can be equipped with other additional equipment like parking sensors, additional ventilation for the rear seats, leather upholstery and rigid boot covering. All this equipment is superior and cannot be found on the models produced by Dacia in Mioveni and sold in other European markets. In the first two months of 2013, there were registered 330 Dacia cars in the UK, of which 150 units were Duster and 180 units were Sandero, that are produced in the Romanian factory in Pitesti.